GitHub - RicoSuter/ProjectDependencyBrowser: Application to browse, sort, filter and launch your Visual Studio projects. Want to be notified of new releases in RicoSuter/ProjectDependencyBrowser? 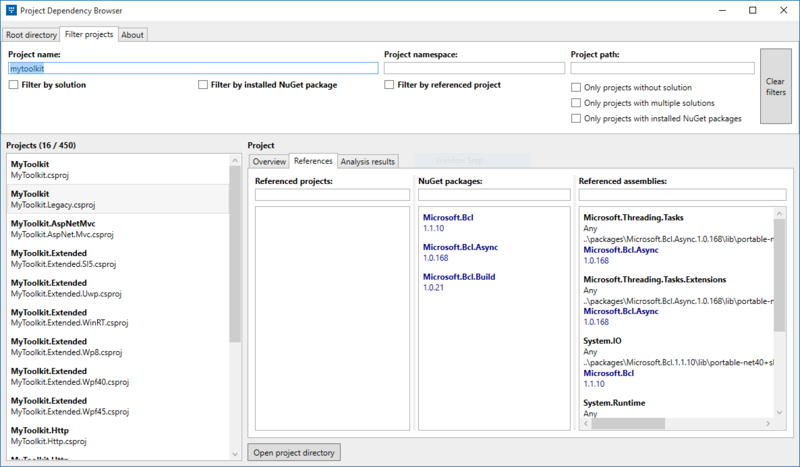 Project Dependency Browser scans a directory for Visual Studio projects and shows their project, assembly and NuGet dependencies in a flexible user interface. The application also provides various filters for example to find projects which depend on a particular NuGet package. 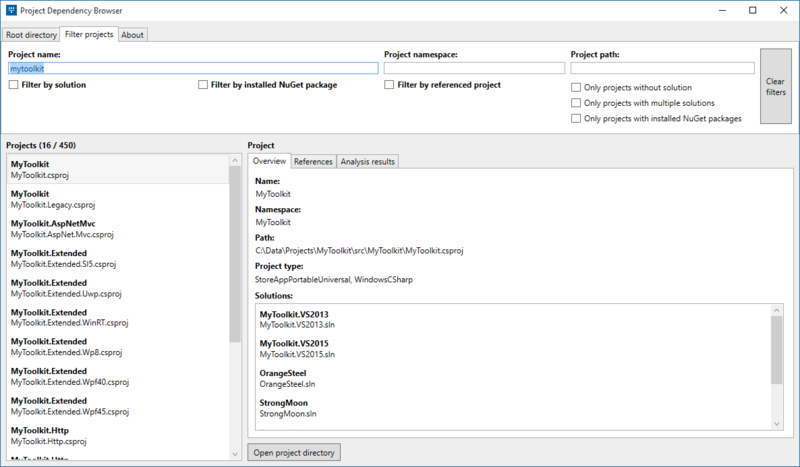 Project Dependency Browser is developed by Rico Suter using the MyToolkit library.